Halloween is quickly approaching – stores are full of costumes that are likely to be worn once, toxic halloween makeup, and cheap candy and chocolate that will fill our children with chemicals and toxins – AAAACK!! Scary!! You CAN green your Halloween, though – there’s a site dedicated to just that (read about Green Halloween here). Here’s a round-up of some awesome tips to make your Halloween just as fun, and more sustainable. 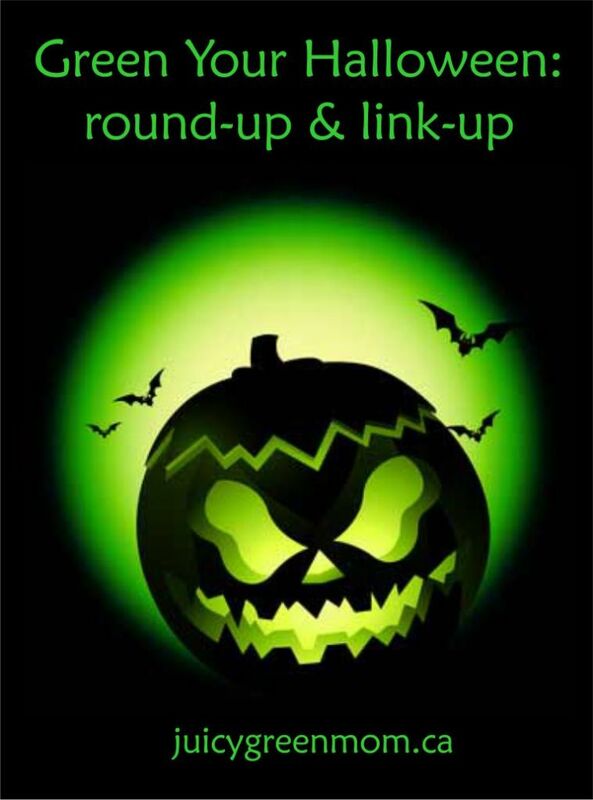 If you have a favourite post about green Halloween tips – link it up at the bottom! What tips do you have for a green Halloween? I don’t get very many trick or treaters, so there’s bound to be left over treats. So I better have healthy treats, since I’m probably going to be eating them myself…. I totally hear you on that one!!! My hubby would make fun of me for sneaking all the left over treats – and they were usually pretty bad. So that is definitely good incentive for getting the good stuff!